We’ve had a busy few months hunting down some top new boutique stays across the globe, and we thought it was time to share our favourites with you. 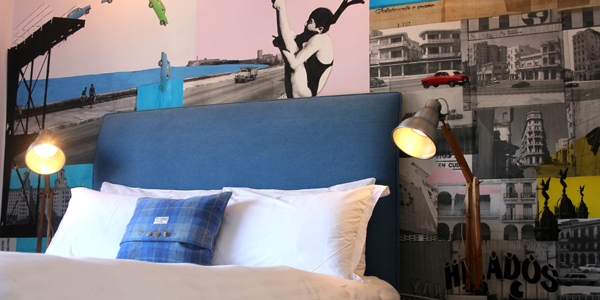 Here are our latest budget boutique hotels (that’s just one ‘£’ on our pricing scale! ), from Brighton to Delhi. They won’t cost the Earth, but they still carry the discerning i-escape stamp of approval – and as always, they’ve all been reviewed in total honesty. 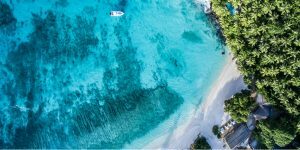 What you’ll love: This boutique guesthouse sits on a glassy lagoon fringed by coconut palms, with thatched villas, white sands, a laid-back restaurant and spectacular sunsets. 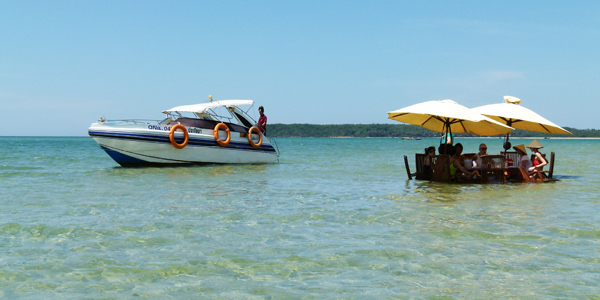 It’s wonderfully remote but brilliantly easy to get to, with kayaking, snorkelling and more to occupy your days. And who wouldn’t love the circular ‘Sea Sofa’ bar that drifts in the shallows? What you might not like: It’s great value for the room, but it’s not an all-inclusive resort. You’ll have to pay extra for most meals and activities. What you’ll love: This quirky hotel has beautiful design touches (coffee-sack cushions, a postbox set into the stairs), plus a fresh, informal vibe. There’s a funky cocktail bar in the form of a beach shack, and the friendly staff instantly put you at ease. It’s close to the seafront and sights, too. What you might not like: The rooms are petite – no cat swinging possible here. It also books up fast at weekends. 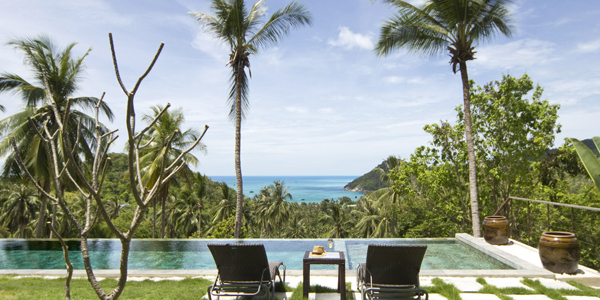 What you’ll love: Utterly secluded, this self-catering retreat has incredible views and a lovely infinity pool. It’s made up of 4 ‘mini villas’ with a bedroom and bathroom apiece, plus a main house with a kitchen and living area, but only 1 booking is taken at a time so you’ll never share with strangers. What’s more, gorgeous beaches are only a 10-minute drive away. What you might not like: The price for the view is a steep hill with lots of steps. You’ll also need some sort of motor to get around. 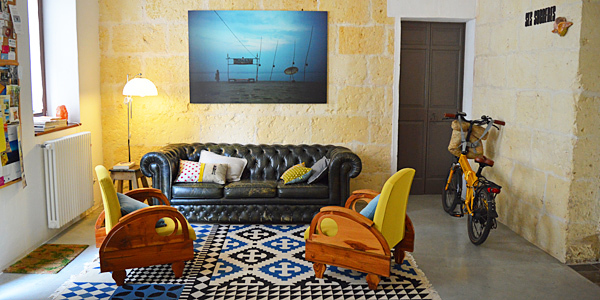 What you’ll love: This peaceful little B&B is bang in the middle of the island – perfect for exploring, particularly when you throw 2 electric bikes into the mix. 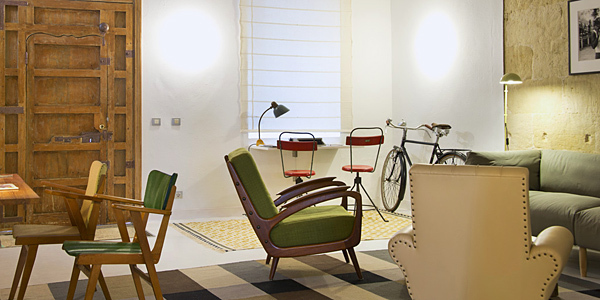 The 6 rooms are large and airy, with a funky mix of vintage pieces. 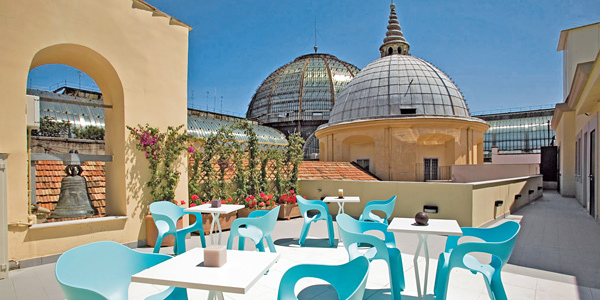 There’s also a small roof terrace, plus a pretty walled garden where breakfast is served on warm days. What you might not like: Ferreries is quiet – if you want buzz, head elsewhere. What you’ll love: It’s a beach villa with wonderful architecture, openness and space. It’s set right on the dunes of sweeping Britannia Bay – perfect for a bit of wildlife spotting (you might see seals, dolphins and even whales from the patio) – and it sleeps 10-12 so it’s ideal for families and groups. There’s even a discreet houseman to look after you. 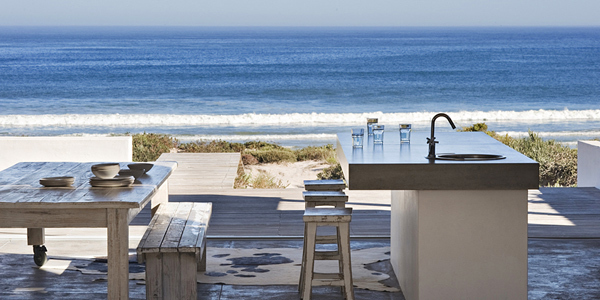 What you might not like: You’re very secluded (2 hours north of Cape Town) and the best restaurants are in Paternoster, 25 minutes away. What you’ll love: The roof terrace of this central B&B brims with plants and beachy furniture – perfect for lazing under the southern Italian sun. Rooms mix sea blues and breezy whites, and some face Naples’ hilltop castle. It’s in a great location, too, just off the main shopping street and close to the port. What you might not like: The emphasis is on stylish simplicity, so don’t expect bells and whistles. 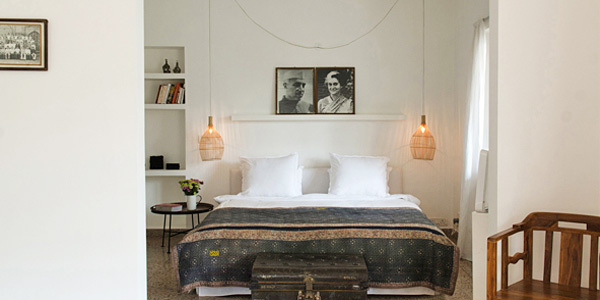 What you’ll love: This quiet guesthouse provides a much-needed refuge in a peaceful part of very busy Delhi – you’ll love coming back to the home-cooked food, warm welcome and 4 eclectic rooms after a day exploring. Best of all, the intimate size allows a personal touch from owner Pauline and her charming team. What you might not like: It’s a little removed from the main centre. Staff can help you arrange transport, though. 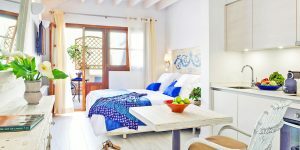 What you’ll love: With gorgeous original features and cool, contemporary design, this small hotel in Menorca’s pretty capital punches above its weight in the style game. There’s a lovely pool to lounge by, and host Nina strikes the perfect balance between attentiveness and independence. What you might not like: All those charming period features don’t provide much soundproofing. Take a look at all of our full collection of boutique hotels.